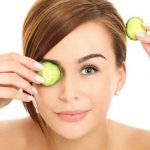 How to Use Eye Cream – Want to know the best tips to use eye cream? If yes then you are at right place. Eyes has to be one of the most sensitive parts of our whole body. Eye creams should be used with intensive care so that you do not end up harming your skin. What is even more important than using it in the right way is to use the right product. If you do not know much about using the eye creams effectively then here we will discuss the best ways to apply eye cream correctly. Eye creams help in moisturizing and also help even your skin tone to the most extent. These are basically used to avoid and get rid of the aging signs that commonly occur under the eyes. You can end up hurting your eyes if you will not use them in the correct manner. The eye cream is basically a solution of the ingredients that is applied under the eyes. Night creams are very effective especially in the evening or night time as our skin works the best in the respective time. These products have now become an important part of the skin and eye care routine of everyone. They further help in keeping the under the skin of eye moisturized and hydrated. Also, they help in preventing and controlling the signs of skin damage and aging. 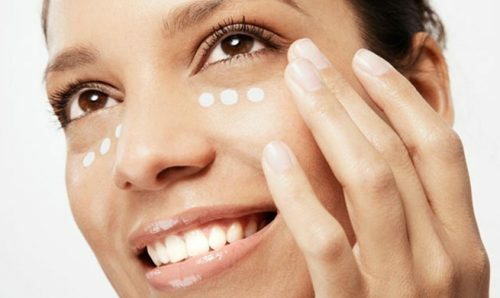 What are the benefits of using Eye creams? Eye creams come with a lot of benefits to every person regardless of age and gender. If you have still not included them in your eye care routine then it is the right time to add them and avail the benefits it has in store for you. Below mentioned are some of the best benefits of using them on a regular basis. A lot of young women are advised to use eye creams for the prevention from the aging signs. 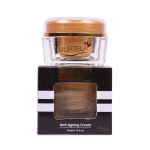 These creams for eyes helps in the wrinkle and fine lines reduction. These are one of the most common signs of aging. Eye creams are extremely beneficial for improving the skin texture. The skin around the eyes is highly sensitive, therefore, they need proper care and attention. Creams specially made for the under eye skin provides protection against various factors. They also prevent from the aging signs. They reduce the dryness and puffiness around the eyes. 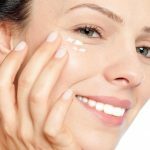 How to apply eye creams effectively? Eyes are one of the most prominent features of our body that need excessive care for the obvious reasons. The skin that surrounds the eye is very thin and extremely delicate, and many times is among the first to show signs of aging.To avail the maximum benefits out of it, you need to learn how to apply it properly. Below mentioned are the steps that you can implement for the best benefits. Our facial skin has dirt and dust because of the exposure in the outer environment. So, before applying the eye creams it is important to properly wash your face either with water or with face wash. Afterward, you can use a gentle cleanser or moisturizer to hydrate and moisturize your face. You can also use skin tones to wash off the dust from your face. Rinse it off properly. Then apply eye cream around the under eye skin and gently massage it in a circular motion. The best time to apply the eye creams is the night time because our skin works and show results best at the night. If you were not getting results despite using the right eye creams then there are chances that you might not be using it in right way. So, stop struggling to get the results and implement the right ways to avail the maximum results. Aforementioned, are the best steps that you can keep in mind the next time you use the creams specially made for the eyes.